Non-league players Tyler Weir, Scott Spencer and Zephaniah Thomas have been suspended by the Football Association for breaching match-fixing rules. They were charged with 'failing to immediately report to The FA an approach by a third party related to seeking to influence the outcome or conduct of a match or competition'. None of the players were involved in any attempt to fix matches. 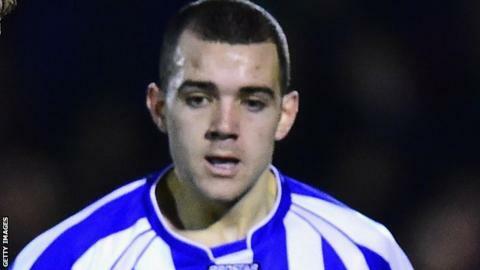 Worcester City's Weir, 25, was given an immediate two-month ban. In total Weir, who admitted two breaches, is banned for six months with the remaining four months suspended until 1 July, 2018. St Kitts & Nevis international Thomas, 26, who plays at Evo-stik League Premier Division side Mickleover Sports, is suspended for four months, of which the first six weeks will be applied immediately. Spencer, 27, who also plays in the Evo-stik League Premier Division at Hyde United has been given an immediate, also partially-suspended three-month ban, of which the first month will be applied immediately. Read more on John Terry: Why has the Blues captain decided to leave Chelsea?